It has taken almost four years for the Oslo peace process to peel off its cosmetic wrappings to reveal the stark truth hidden at its core: There was no peace agreement. Instead, Palestinians entered an appalling spiral of loss and humiliation, gulled by the United States and the media into thinking that we had at last achieved some measure of respectability, bludgeoned by Israel into accepting its pathological definition of security, all of which has impoverished our people, who are obliged to watch more settlements being built, more land taken, more houses destroyed, more sadistic collective punishments meted out. Israel should explain why we should forget the past, remain uncompensated, our travails unacknowledged, even as all other victims of injustice have the right to reparations, apologies and the like. There is no logic to that, only the cold, hard, narcissistic indifference of amoral power. Now the egregious Netanyahu and his American chorus are proposing permanent-status negotiations not to reverse the long injustice but merely to insure “security.” Ever since the marketplace bombings, the media and the Israeli and U.S. governments have insisted that Palestinian violence be stopped. Even the “peacenik” Amos Oz has demanded that we decide between peace and violence, as if Israel had grounded its planes, dismantled its nuclear arsenal, stopped bombing and occupying South Lebanon, and withdrawn all its troops from the West Bank, along with the checkpoints it has planted between every major Palestinian center. Israel and its American supporters have rarely troubled themselves with any of those facts. Who do Israeli leaders think they are that they ignore what they have done to us and still wrap themselves in the mantle of “the survivors”? Is there no sense of respect for the victims’ victims, no barrier to what Israel can do and continue to demand the privileges of the innocent? 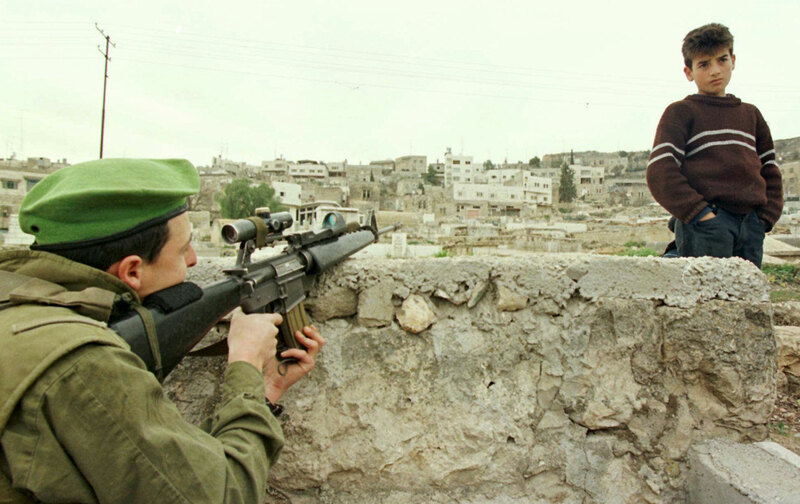 When President Clinton and Madeleine Albright repeat the propaganda of the Israeli lobby—“there is no parallel between bombs and bulldozers”—they need to explain to a recently evicted Palestinian family or Palestinians under curfew or Palestinians whose young men and women languish in Israeli jails or who are strip-searched by Israeli soldiers, or driven out of Jerusalem so Russian Jews can be settled in their homes, or deprived of any right to resist Israeli occupation, what is the equivalent of an Israeli-American bulldozer in such a context. There is a racist premise underpinning the “peace process” that Arab lives aren’t worth as much as Jewish lives. Terror bombing is terrible, and it cannot be condoned. But the bulldozers of forgetfulness and righteous arrogance are terrible also. The air needs to be cleared, language shorn of its worn-out phrases, honesty and fairness given a chance. Palestinians want peace, but not at any price and not the way Netanyahu defines it, with millions of conditions concealing an iron rejection of Palestinian equality. A start must be made somewhere, blame apportioned properly and responsibility assigned proportionately. One cannot expect a people without statehood, without rights, without hope, to act like diplomats sitting in seminar rooms talking about abstract scenarios and confidence-building measures. There cannot be peace and security while Palestinians continue to suffer and not one word is said about the causes of that suffering.